I have a new show that's currently up at the Bob Prittie Library in Metrotown (British Columbia), presented by the Burnaby Art Gallery Outreach Program. It runs from April 22 to July 8. This is my first show in BC, and it includes all thirteen drawings that I completed over the past winter. 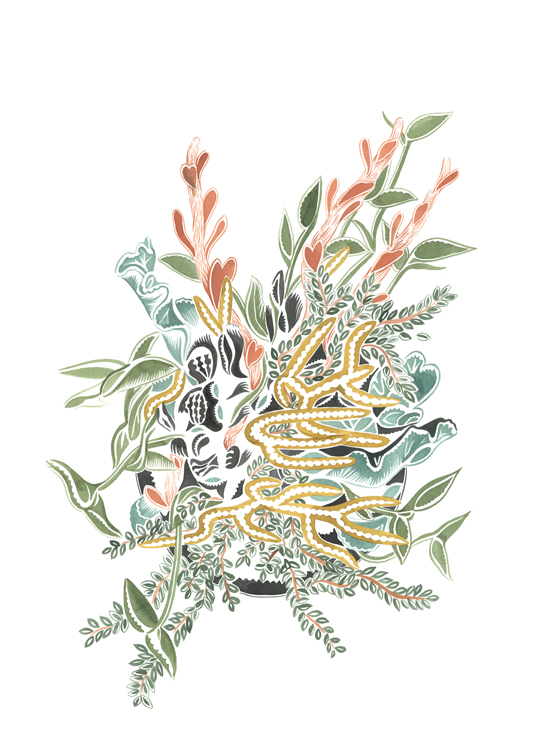 All are investigations of various self-contained flora, ranging from wild to man-made arrangements, including four drawings that depict the japanese art of Kokedama (suspended string gardens). More info here.